July 27, 2016 by Theresa B. Clarke 0 comments on "Sweet Sweep for JMU in the 2016 Google Online Marketing Challenge"
After evaluating thousands of accounts and reports, Google announced the 2016 winners of the ninth running of the Google Online Marketing Challenge (GOMC). 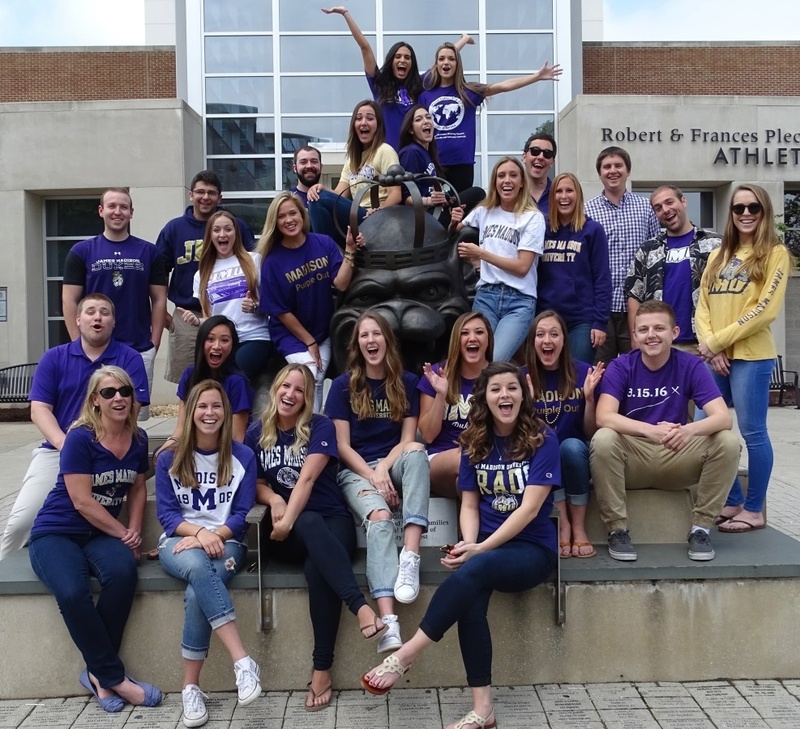 I am delighted to report that James Madison University students in the College of Business earned top placements in all three competitive categories of the GOMC: AdWords Business, Social Impact, and Social Media Marketing. According to the 2016 GOMC results, there were over 500 professors and 10,000 students from more than 60 countries in this year’s GOMC. The James Madison University Google Online Marketing Challenge Class of 2016 under the direction of Dr. Theresa B. Clarke, College of Business, Department of Marketing. Lynn Radocha (Team Captain), Alex Adley, Maianh Phan, Cari Ross, and John Thompson were selected as the Americas Winner of the 2016 GOMC AdWords Business Award. As the highest ranked team in the North, Central, and South American region, they earned a special two-night trip to Google headquarters in Mountain View, CA as part of a prize package which also includes computing devices from Google and other very cool awards. Additionally, this team was a Google+ Social Media Marketing Finalist (top 5 in the Americas region) and was also named the 3rd Place Winner of the 2016 GOMC AdWords Social Impact Award through their work with a local animal shelter located near JMU. The team’s non-profit client, the Rockingham/Harrisonburg SPCA will receive a $5,000 donation from Google as a result of their global win in the social impact category. Kudos to Lynn, Alex, Maianh, Cari, and John for their hard work, desire to excel, perseverance, and keen sense of timing on so many different aspects of the GOMC. When faced with challenges, they stuck together as a strong team and were prepared to do whatever was necessary to get the job done. Emily Maynard (Team Captain), Jacob Brown, Amy Goffe, Christine Provino, and Jacob Shibley were named an AdWords Business Semi-Finalist (one of the top 15 teams in the Americas region) and the 1st Place Winner of the 2016 GOMC AdWords Social Impact Award. Their first place global win earned a $15,000 donation from Google for their client, the Children’s Science Center, a non-profit organization dedicated to filling the gap in Northern Virginia with a permanent, world-class interactive exploration center that incorporates traditional museum exhibits with cutting edge discovery experiences. These students will receive a computing device from Google as well as an exciting opportunity to participate in a Google+ Hangout with members of the Google Grants team. Props to Emily, Jacob B., Amy, Christine, and Jacob S. for professionalism, positive attitudes, and for taking well-calculated risks in their online marketing strategy. I will always remember this team for being so nimble and colorfully creative throughout their GOMC experience. Google selected Matt Deters (Team Captain), Caitlin Fikac, Natalie Krewin, Molly McDevitt, and Claudia Schnorbus as the Americas Winner of the 2016 GOMC Google+ Social Media Marketing Award. The Google+ Social Media Marketing Award represents an optional component of the Challenge that allows students to gain a more in-depth understanding of online marketing by developing and executing a five-week social media marketing campaign via Google+. Their client was Poricy Park Conservancy, a New Jersey-based non-profit with 250 acres of open space, wildlife and their habitats, prehistoric fossil beds, and the Historic Murray Farmhouse. The student team will receive a computing device from Google for winning the top social media marketing award in the Americas region. Compliments to Matt, Caitlin, Natalie, Molly, and Claudia for strong performance in a highly competitive category…social media. This team was so thoughtful and patient, as well as adept at finding unique angles to solve various strategic online marketing challenges faced throughout the competition. They created over 200 social media posts for their client and had the highest number of reshares and reshares-per-post in my class. The team of Alexandra Ender (Team Captain), Rachel Broudy, Annie Delafield, Elka Feinstein, and Laura Hart was among the top five teams in the Americas region in two categories. The team was named a Google+ Social Media Marketing Finalist and an AdWords Social Impact Finalist. Their client was The Campagna Center, the largest non-profit in Alexandria, VA that offers developmental programs for lower income residents in the community. Congratulations to Alexandra, Rachel, Annie, Elka, and Laura for their two top five placements in the Americas region. I appreciated this team’s eagerness to serve their client, learn from their mistakes, and focus their work into meaningful and productive efforts. JMU students on the winning teams will be awarded a personalized certificate of appreciation from Google noting their status in the 2016 competition. 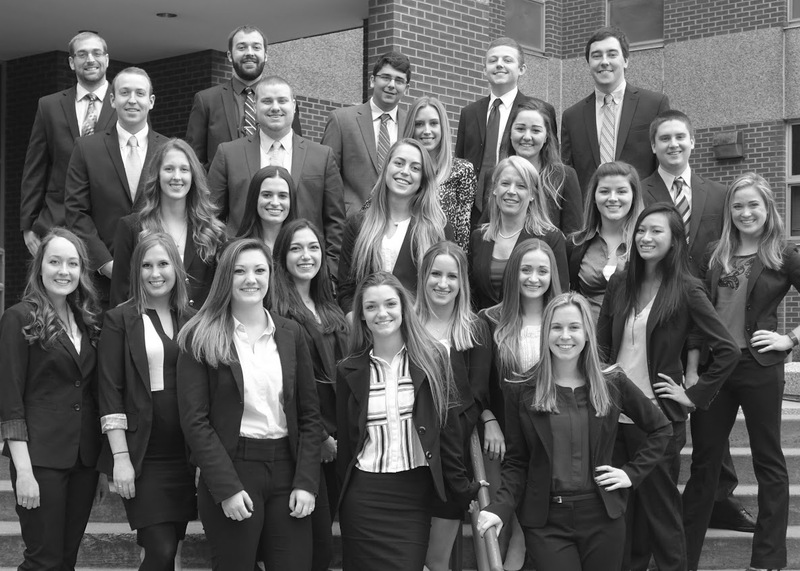 I am incredibly proud of the phenomenal accomplishments from the Class of 2016 and the online marketing impact they made on their clients. The combined win of $20,000 in Google donations will go very far in assisting two non-profits, located in the Commonwealth of Virginia, that focus on the development of children and the welfare of animals. I am indebted to the many individuals who supported the journey for the Class of 2016, especially my highly dedicated JMU GOMC alums. Thank you does not seem enough to express the deep gratitude I feel for all that they do to reinforce and enrich the educational mission in my class — or more appropriately, OUR CLASS. Every year, we grow stronger because of loyal partners to the JMU College of Business who are prepared to make the difference! I look forward to seeing what JMU Dukes will do in our 10th year of the GOMC. For information about applying for the JMU GOMC Class of 2017, visit http://theresabclarke.com/gomc.